It’s September. For many of our friends and neighbors, it’s a time to reflect on our summer as we transition into cooler fall weather. 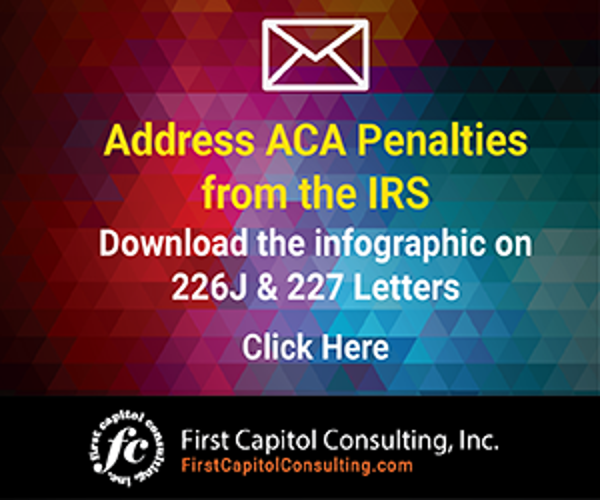 For those of us who are involved in Affordable Care Act compliance for our organizations and clients, it’s time to start getting ready for annual filings of ACA information with the IRS. Employers may start receiving exchange notices related to the 2018 tax year. Remember, there is a 90-day window to appeal exchange notices. Deadline to file 1094-C/1095-C schedules if paper filing. Deadline to furnish 1095-C schedules to employees. Deadline to file 1094-C/1095-C schedules if electronic filing. Individual tax returns are due. Employees should include healthcare coverage information on their individual returns. Form 720 (PCORI) due from self-insured plans (includes self-insured employers). Consolidate, Aggregate and Validate year-to-date data from HR, Time and Attendance, Payroll and Health Benefits. 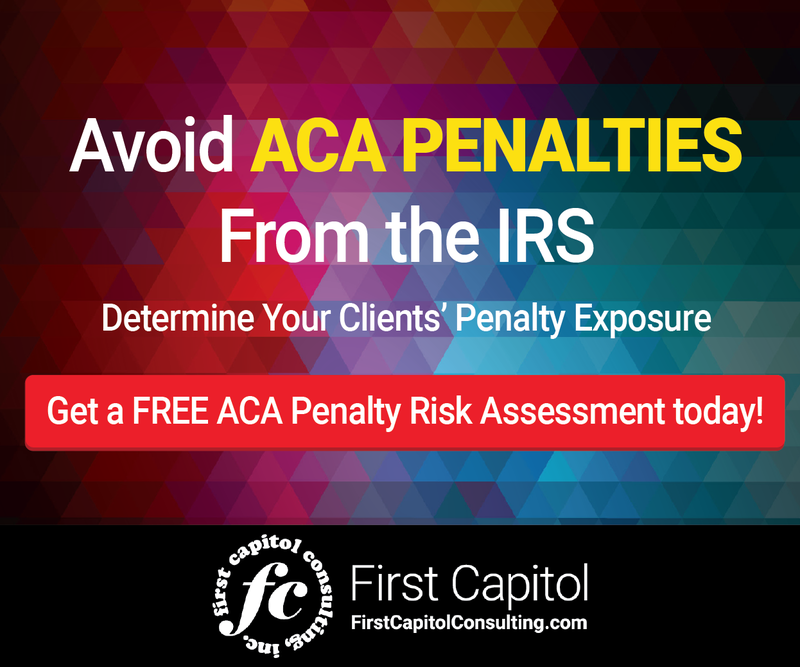 This is an important step to ensuring an accurate and timely ACA filing with the IRS. Ideally, organizations have been doing this each month since January 2018. If not, now is the time to get started to avoid panic setting in. Conduct a monthly audit of employment classifications, such as full-time “designated,” part-time, variable and seasonal. The ACA Employer Mandate requires employers to accurately identify their full-time employees and offer them health coverage meeting certain substantive standards. A 5% margin of error is allowed each month. For any month that an employer* strays outside of the 5% margin of error, the employer is exposed to a monthly penalty ($2,320/12) multiplied by the number of full-time employees if at least one full-time employee obtains a Premium Tax Credit (PTC) for that month. Determine your Workforce Composition, at both the ‘Aggregated Employer Group’ and EIN level. This includes knowing the numbers of full-time (FT) and non FT employees, including full-time employees that are not in a limited non-assessment period. You also need to know the numbers of “pending” and “trending” employees when using the Look-Back Measurement Method. Remember to track historical “FT employees, not in Limited Non-Assessment Period,” without an offer of health coverage. Calculate health coverage affordability. For 2018, in order to meet the ACA’s affordability threshold, the employee’s required contribution to the lowest cost monthly premium for Self-Only coverage providing Minimum Value (MV) should not exceed 9.56% of either (a) the employee’s Rate of Pay, (b) the employee’s W-2 Box 1 wages, or (c) the Federal Poverty Line threshold for a household of 1. When calculating affordability, make sure to account for flex credits through cafeteria plans as allowed under IRS Section 125, and other factors such as opt-out payments, wellness plans, HRAs and fringe benefits. Check the accuracy of your data. Many of the problems encountered on the path to ACA compliance are data problems. Make sure your key data points are accurate, including Legal Name, SSN, DOB, Address, Employment Periods, Hours, Wages, Rate of Pay, Compensation Type, Title, Employee Class, Location, EIN, Health Benefits Class, Health Benefits Eligibility Periods, Health Benefits Enrollment Periods, and W-2 information. For more information on the ACA, click here. For access to free ACA resources, click here. Here are the dates for filing ACA information for the 2018 tax year with the IRS, and some helpful tips for ACA compliance.